As we move forward into the deep waters of the CL Financial bailout, the picture becomes murkier and less encouraging. It seems to me that we have never had a government which spends more on PR and advertisements, yet on this most important issue, the picture is nothing but baffling. THE LEADERSHIP QUESTION – The old leadership of CL Financial appears to have departed the bright lights, which is a far cry from the very visible positions taken when the bailout was announced. Lawrence Duprey spoke at the press conference on 30th January 2009 and photographs of him, together on that day with his colleague, Andre Monteil and the Central Bank Governor have been published in this newspaper. The said Mr. Monteil, former Finance Director of the CL Financial group up until his retirement in March 2008, is now turning his interests to farming – see http://guardian.co.tt/news/general/2009/06/07/my-integrity-can-t-be-impugned-monteil. As to the new leadership, that has now been scattered to the winds, with the rapid-fire resignations of Steve Bideshi as CL Financial CEO, Michael Carballo as group Finance Director and Claude Musaib-Ali as CEO of CLICO.The picture is truly confusing, especially when one considers the official statements, apparently made to provide information. We are being asked to believe that the departures of Bideshi and Musaib-Ali were both anticipated, but there is no explanation as to who is to replace these top-level officials. Who is really in charge of these huge, troubled companies? Is that an unreasonable question? A MATTER OF INTEREST – Several critics of this series have asked why am I against the bailout? They go further to ask, isn’t the same thing happening in the USA and UK? Well, I think that the resemblance is only coincidental and superficial. I have been reading ‘Too big to fail’, Andrew Ross Sorkin’s bestselling account of the Wall Street meltdown. One of the most interesting points in that book is the terms of the Federal government bailout granted to AIG. At a time when the benchmark LIBOR was 3%, AIG was offered finance at an extra 8.5% – a punitive interest rate of 11.5% for the use of US taxpayers’ funds. Those funds were secured by all of AIG’s assets and there was also a government veto over any AIG dividend payments. In short order, the company was owned and controlled by the US government. That episode can be read as a message from the Bush administration that they would only bailout in extremis and on punitive terms. Another point to consider here is that our own laws specify a rate of interest due on any taxes owed – that rate is 20%.So what is the interest rate being paid by CL Financial to the State for the massive financing they are benefiting from? The first MoU is silent as to interest and the second MoU has apparently been deemed confidential. Why the silence on the interest rate for this bailout? There needs to be a statement on this urgently. SALE OF ASSETS – The first MoU had, at its centre, a financing arrangement which required CL Financial to dispose of assets, in a listed sequence, to refund the funds advanced by the Treasury. We then learnt, in between the first and second MoUs, that all of CL Financial’s assets were fully pledged. The source for this is none other than the Central Bank Governor – http://guardian.co.tt/business/business/2009/04/08/govt-left-empty-handed-cl-financial-bailout – and we are bound to wonder at the way in which this new information influenced the negotiations for the second MoU. It seems that in the first place, the State thought it was to recover the funds it advanced to CL Financial by disposal of its assets. That belief now appears to have been misplaced and one has to wonder what influence that had on the second MoU. Did that 12th June document call on the private assets of the CL Financial chiefs? Given that the CL Financial assets are fully pledged and there is a suspicious silence on whether any interest is being charged and the shareholding is apparently to remain in private hands, one is bound to wonder how exactly and when is the State to be repaid for this massive loan? I just wonder what are the real figures for the entire CL Financial group, given the sheer refusal, by all the responsible officials, to discuss the 2008 audited accounts for the group. It seems to me, based on the available information, that the interests of the taxpayer have been subordinated to those of policyholders, depositors and most odious of all, the 325 private shareholders of CL Financial. 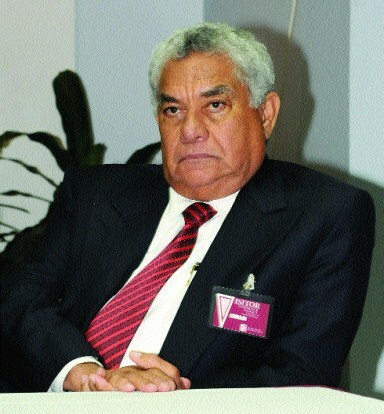 Michael Carballo was emphatic that the shareholding had not been affected by the new MoU – “Carballo said the government was in control of the management and running of the Caribbean conglomerate, but what has not changed is the ownership.